We have a PING fitting day for our members to come and test the latest PING product range. On the day the expert fitter will be here to assist you with your best specification and you can book a slot with him via the professional shop. What Do These Guys Have In Common? It is wonderful to see the success stories of our customers following the correct avenue of purchasing clubs. We pride ourselves on helping our customers invest correctly in their equipment. If you would like to chat options on assessing your golf equipment, don't hesitate to chat with one of the team at the pro shop. 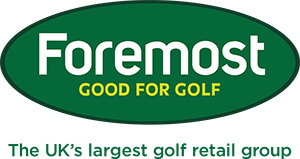 We offer FREE fitting, FREE lessons and FREE Professional advice and are here to help you and your game. Just give us the chance to help! We have the strongest team of Pro golfers in the area and we use the latest video and launch monitor technology to make learning easier. 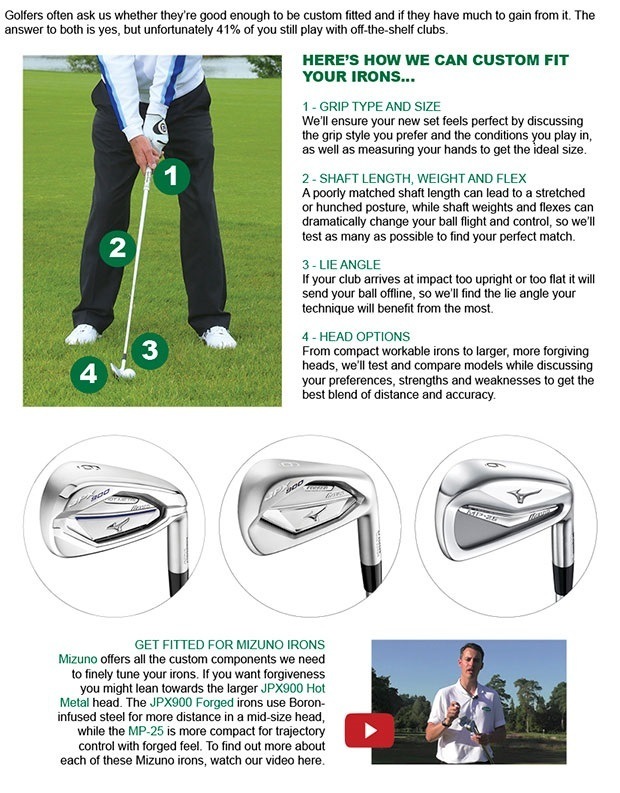 Book your lesson or fitting now by clicking here. The swing difference you can see in the split screen gave this gentleman an additional 20 yards with his driver. Another very happy member! Well done David and keep up the good work. We want to make buying new equipment from us an enjoyable process, one which leads to you playing better golf in the long run. This is why we've teamed up with Callaway, Mizuno, Titleist and PING to offer you the Complete Equipment Solution, starting this Friday and running throughout May and June. How does a FREE custom fitting and FREE lesson sound? It's so important for golfers of all abilities - particularly amateurs, who have far more to gain - to get custom fitted, as opposed to leaving it to chance, like you'd be doing if you bought standard spec clubs straight off the shelf. You really have nothing to lose. We will help you to get the most out of any new equipment through a thorough custom fitting process before you buy, followed by a lesson to see you on your way. Come and speak to us in-store if you're interested, but remember this offer is only available until the end of June. Following requests from many of you we re-instated Adi footwear back into stock for 2017. With performance, style and comfort being at the top of the offerings, we have sold through and re stocked with a number of styles. A full size range is available for to pick from in store now. We have around 20 pairs of half price ECCO golf shoes in the sale and still a number of popular sizes so grab a bargain whilst they last. With price points starting at £79.99 they are great value too. Why ECCO are the best - Combining lightweight comfort, flexibility and foot support, with high-tech materials and natural motion technology, to produce the most comfortable golf shoes. On Saturday we held our first members qualifier and it was great to see lots of you got in the spirit. Our winner of the qualifier is Chris Nelson. Chris acts as one of our junior organisers and has a young son James who is one of our future stars at the club. Congratulation Chris and good in luck in the main event on June 8th. Hopefully you won't make the rogues gallery!! Alan Roberts, our club treasurer and Chartered Accountant of Mcdade Roberts sporting the Trilby headwear in the professional shop. I Could Do With Your Help To Grow - Please! I am trying to increase my newsletter database. Clearly my newsletter keeps you up to speed on all my activity and offerings at the club but I also use it to promote our club and its offerings for membership, parties, social functions, advertising and sponsorship. Therefore, the more people that I can reach out to, the better for us all! Signing up is easy - visit www.andrewgreenbank.co.uk and follow the sign up options at the bottom of the home page. Our Shoe Trade-In with adidas comes to a close this Sunday so if you’re considering a new pair of shoes for the season ahead, make sure you pop in to see us before it’s too late. adidas’s range for 2017 is superb but don’t just take our word for it, click the link below. We’ve had good fun with those of you who have already taken up our Shoe Size Challenge, not to mention some of the surprise results. We’re only running this challenge until the end of April so make sure you don’t miss out. 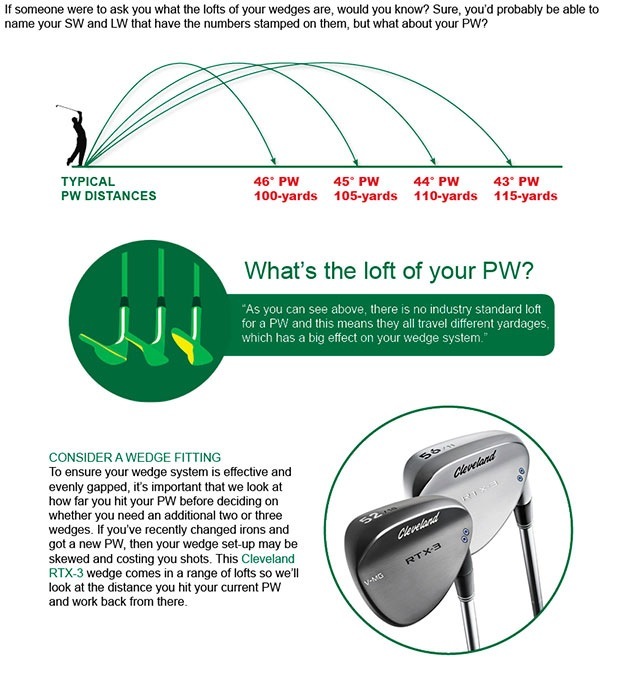 What's the loft of your PW? One of the biggest advancements in recent years is the increase in the number of options available to golfers when it comes to custom fitting, as well as adjustability. 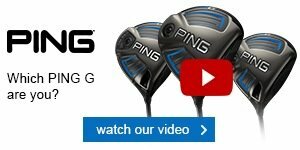 Take PING, with the fantastic G line we have three different models for you to choose from. 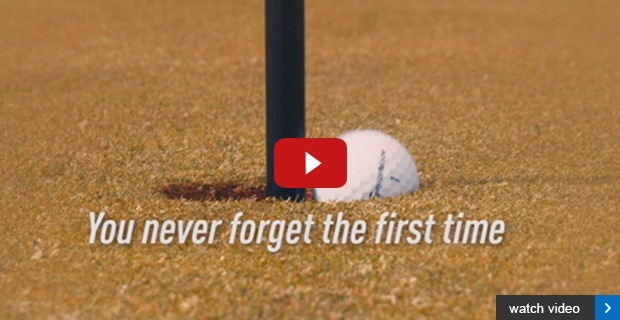 We asked several TaylorMade tour professionals about their first time. Could they remember?